Word comes this morning from Masonic Week 2016 in Alexandria, Virginia, that MW Bro. Michael Halleran has been named the newest Blue Friar by Grand Abbott S. Brent Morris. 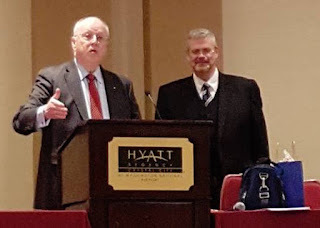 The Society of Blue Friars was formed in 1932 to recognize the excellence of Masonic authors, and their annual meeting is held each year in February during Masonic Week in the Washington D.C. area. It is perhaps the smallest and oddest of Masonic organizations, as it has no ritual and few rules. The Grand Abbott chooses the new Friar, and it is a closely guarded secret until its announcement. Each new Friar, upon the announcement, is required to give a short paper to the audience and fellow Friars. Unfortunately, I wasn't able to attend Masonic Week for the last two years, so I don't know the topic of Mike's paper. 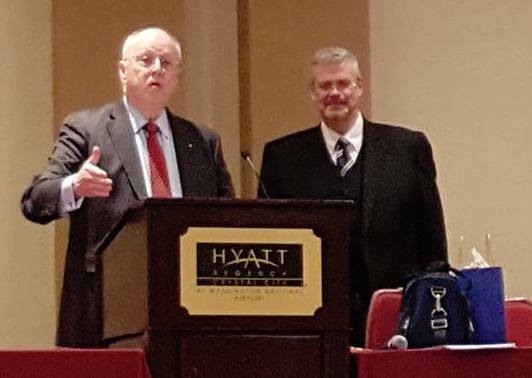 Michael Halleran is the Editor of the quarterly Journal of the Masonic Society. 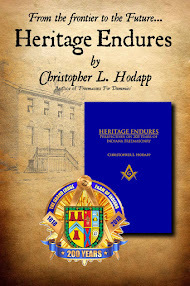 He is the author of The Better Angels of Our Nature: Freemasonry During the Civil War. His latest book is an updating of an 1885 bestseller by Robert Macoy. 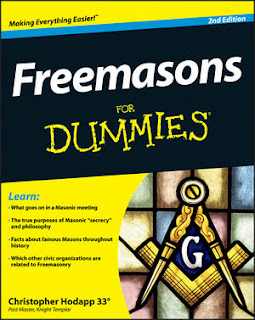 Macoy's Modern Worshipful Master's Assistant, is now more readable and relevant to today's new crop of Worshipful Masters, and should be required reading for anyone assuming the Oriental Chair. It is due out this spring. Michael is a Past Grand Master of the Grand Lodge of Kansas. I was there today. Mike delivered his paper with wit and humor; which made it one of the most enjoyable Blue Friars' in years.